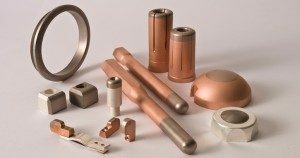 CASRAM – Electrical Contacts | ROHE International, Inc.
Casram SA is a competent partner for the supply of electrical contacts for medium and high voltage applications. Reproducing any type of electrical contact for obsolete medium and high voltage circuit breakers, grounding switches. Supporting our customers with producing spare parts for circuit breakers even for smaller series.